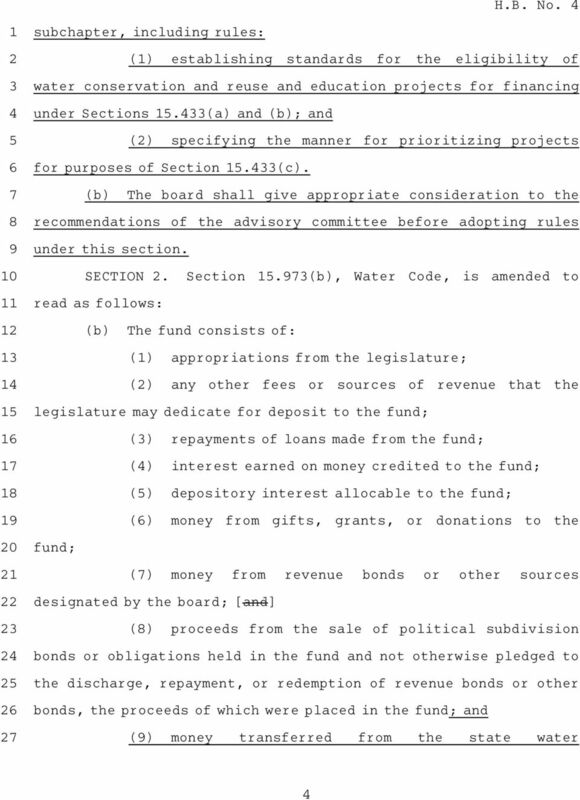 Download "A BILL TO BE ENTITLED AN ACT. 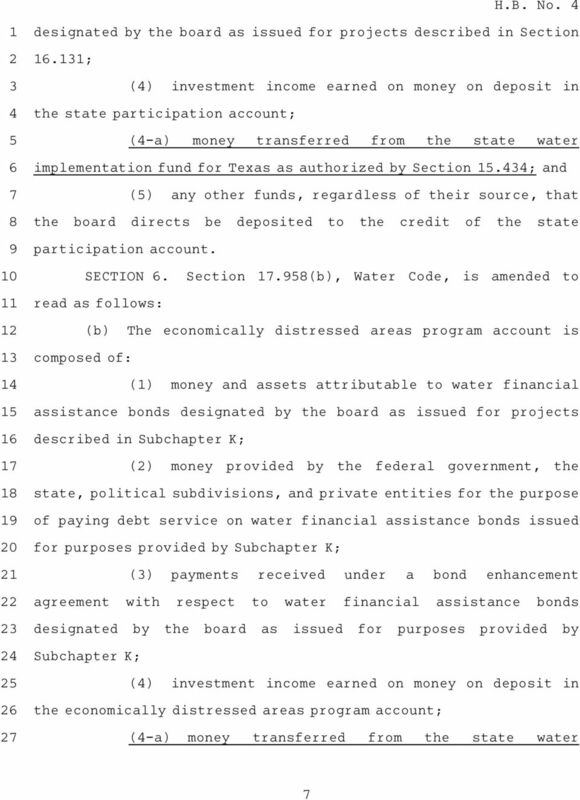 relating to the creation and funding of the state water"
8 H.B.ANo.A implementation fund for Texas as authorized by Section. 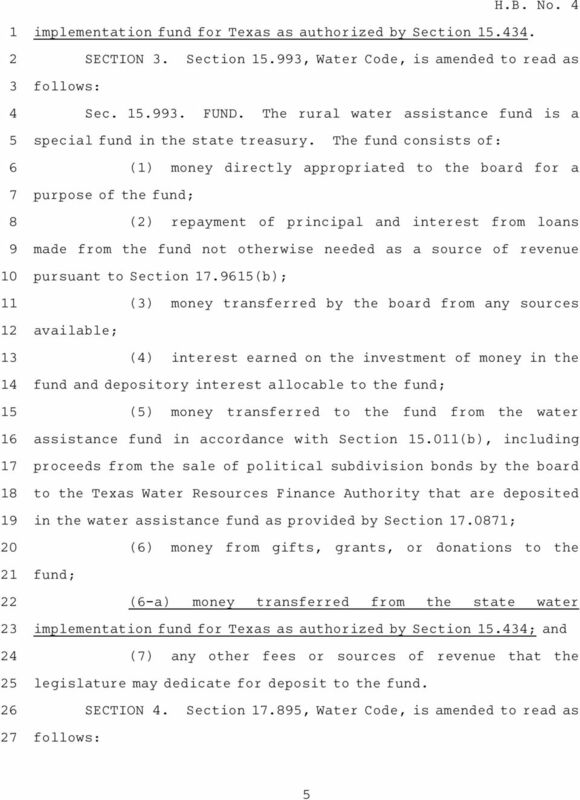 ; and ()AAany other funds, regardless of their source, that the board directs be deposited to the credit of the economically distressed areas program account. 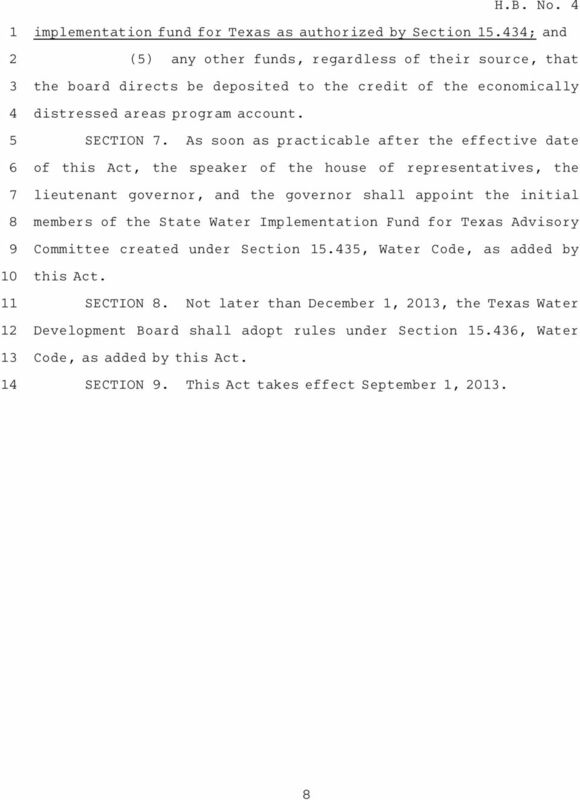 SECTIONA.AAAs soon as practicable after the effective date of this Act, the speaker of the house of representatives, the lieutenant governor, and the governor shall appoint the initial members of the State Water Implementation Fund for Texas Advisory Committee created under Section., Water Code, as added by this Act. 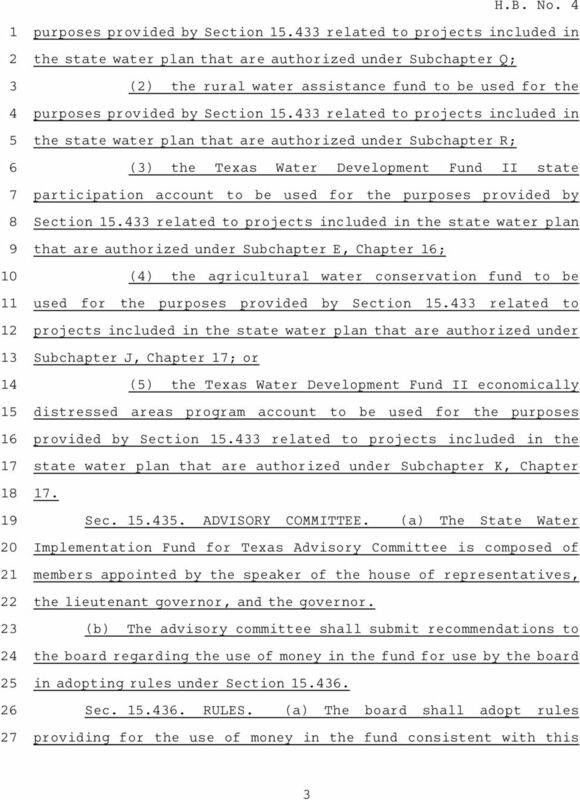 SECTIONA.AANot later than December, 0, the Texas Water Development Board shall adopt rules under Section., Water Code, as added by this Act. SECTIONA.AAThis Act takes effect September, 0. H.B.ANo.A 0 AN ACT relating to life settlement contracts for the payment of long-term care services and support and the consideration of a life insurance policy in determining eligibility for medical assistance. EDUCATION CODE TITLE 3. HIGHER EDUCATION SUBTITLE A. HIGHER EDUCATION IN GENERAL CHAPTER 59. MEDICAL MALPRACTICE COVERAGE FOR CERTAIN INSTITUTIONS SUBCHAPTER A. MEDICAL PROFESSIONAL LIABILITY Sec.A59.01.AADEFINITIONS. Subd. 54. Governing statute. 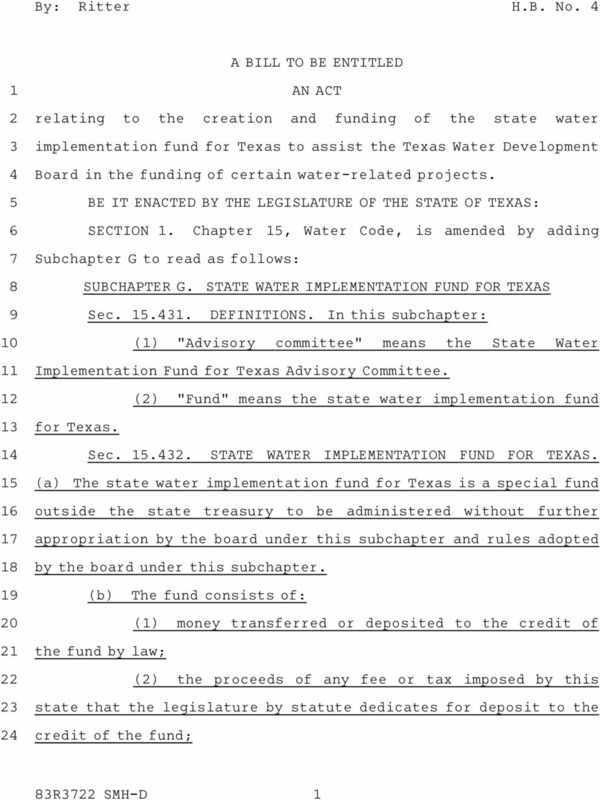 Governing statute means the statute that governs an organization s internal affairs. 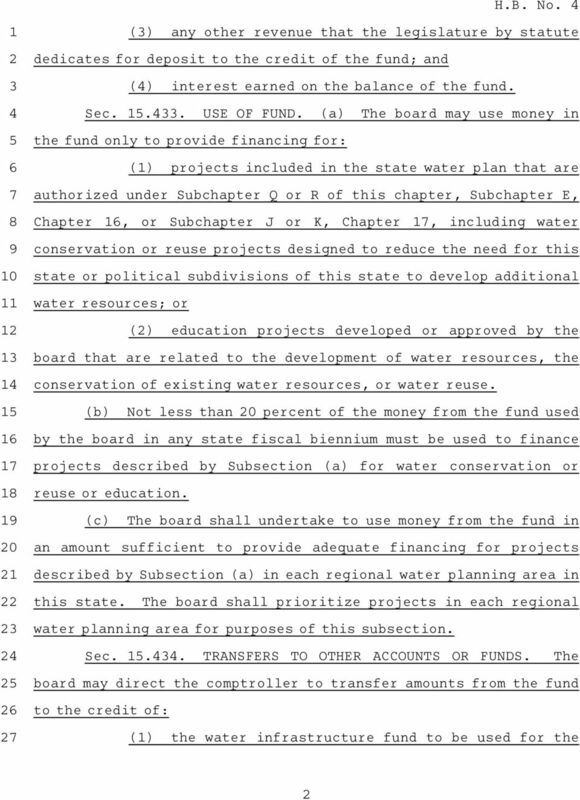 SENATE BILL 1288 AN ACT AMENDING SECTIONS 45-2103 AND 45-2113, ARIZONA REVISED STATUTES; RELATING TO THE ARIZONA WATER PROTECTION FUND. SpecialReport. Report on the Physician Education Loan Repayment Program. 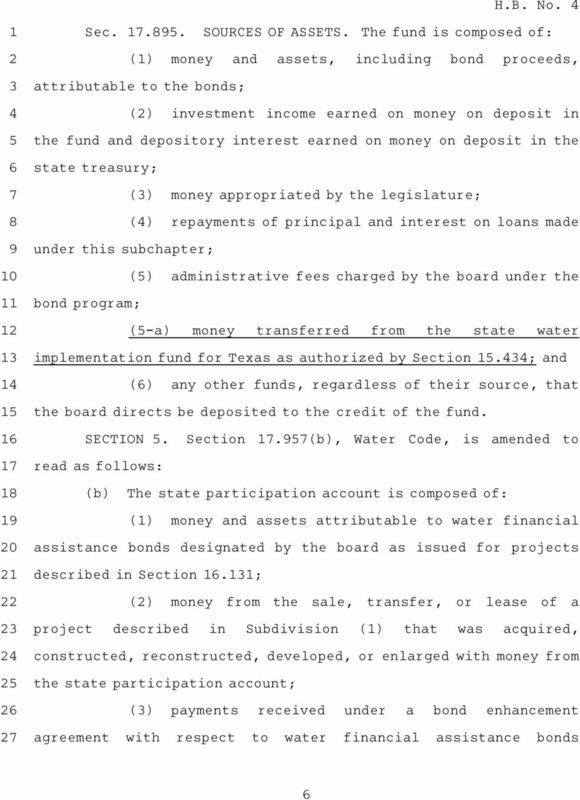 Susan Combs Texas Comptroller of Public Accounts.